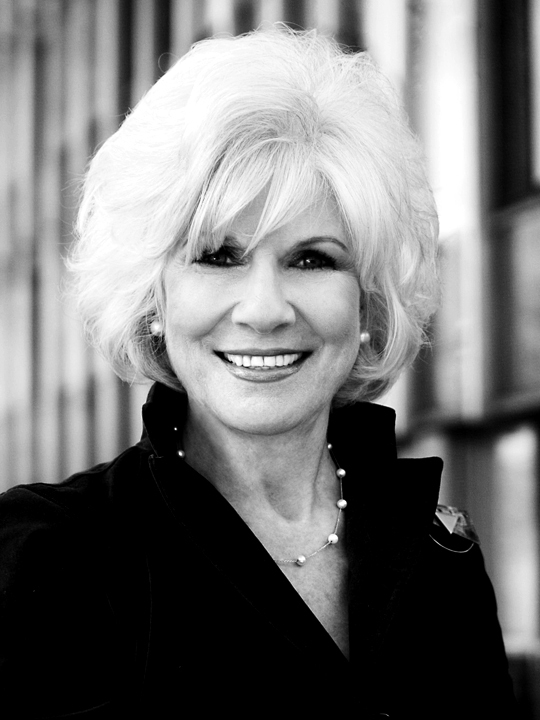 Diane Rehm, Personal Politics And The Ethical Reach Of NPR : NPR Public Editor Is the host of an acquired program held to the same standards as NPR's journalists? The article chronicled Rehm's personal experience last year as her husband, John, deteriorated physically due to Parkinson's disease. His Maryland doctor rejected the couple's request for medical assistance to help him end his life — such actions are illegal in that state — instead counseling John to stop eating and drinking; he died ten days after doing so, according to the article. Now 78 and pondering how to manage her own death, Rehm is working with Compassion & Choices, an end-of-life organization run by Barbara Coombs Lee, a key figure in Oregon's passage of an assisted-suicide law and a previous guest on the show. Rehm will appear on the cover of the group's magazine this month, and she is telling John's story at a series of small fundraising dinners with wealthy donors financing the right-to-die campaign. NPR distributes Rehm's show nationally, so that paragraph drew particular attention inside NPR. It also drew the attention of Tim Graham, executive editor of the conservative media watchdog group NewsBusters, who wondered on Twitter: "Can an NPR host speak at fundraisers for Kevorkian-esque ballot initiatives now?" In the past, NPR has banned newsroom employees from taking part in high-profile political events in their free time, including the 2010 Washington D.C. rallies by comedians Jon Stewart and Stephen Colbert and last year's climate marches. Many other major news organizations have similar prohibitions and the Society of Professional Journalists offers similar guidance. In this case, there's a major nuance. The Washington Post's online headline identified Rehm as an "NPR host," which she is ... and she isn't. She is an employee of WAMU, not NPR. NPR distributes her show and allows WAMU to associate the NPR brand with it, but doesn't "own" or produce it. Listeners, however, can't be expected to know the difference and many don't. But legally, and when it comes to NPR's ethics code, there is a real distinction. Journalists employed by NPR are expected to abide by its code of ethics. The code does not currently make any provisions for those who work at NPR's "acquired programs," such as Rehm's show, to use the internal terminology. A past code of ethics did cover hosts of acquired programs, but when the guidelines were revised in 2012, "we said we'll figure it out," Eric Nuzum, NPR's vice president for programming, told me. While such hosts are in some ways a public face of NPR, "It is not clear that they should all fall under every element of an ethics code," he said. The rules may not be exactly the same for Rehm, host of a talk show that delves deeply into difficult issues ... as for a reporter or host of a news show. Further complicating the matter are NPR's contracts for acquired programs, which he said make clear the shows are accountable to NPR ethics guidelines. But, he added, it's not clear whether all hosts see the contracts. Nuzum said he is not prepared to say whether Rehm's activities are in violation of the ethics code, until he has talked it through with WAMU. He added, "Diane's story of what she and her husband experienced, at least in my opinion, she is free to write about, to speak about. Where I get concerned is off-air activities around that." JJ Yore, the general manager of WAMU, said the fundraising aspect "is one of the thorniest parts" as all involved work through the situation. "It gives all of us pause. I've said to her, that 'obviously, it would be easiest if you were not involved in this movement in any way.'" He said the rules may not be exactly the same for Rehm, the host of a talk show that delves deeply into difficult issues — and on which Rehm is free to express her own opinions — as for a reporter or host of a news show, where the ethics conflict would be more clear cut. Yore's own view, he said, is that "claiming to be objective is not being honest, that humans aren't objective." Instead, he said, the goal should be to constantly "ask yourself whether you have a point of view that is obscuring your vision or your coverage. What you're really trying to do is ensure you're being fair and providing the audience with the full spectrum of views, regardless of whether you agree with them or not." Rehm's most recent foray into the subject, on Feb. 17, did just that, from my listening. But that still leaves the question of her off-air activities. "The ethical standards apply pretty much across the board, namely that we will be honest, that we will be open about what we do and that we will be fair on the air"
Rehm told me she believes "the ethical standards apply pretty much across the board, namely that we will be honest, that we will be open about what we do and that we will be fair on the air, and that is certainly something I've tried to do for 35 years." As a talk show host, she said, "I gather I am not put into the same category as a reporter," and therefore is allowed to express her own opinion on the air occasionally. But, she added, she makes sure to have "numerous perspectives in the studio" and for the recent program was even contemplating counting up to the second the airtime given to each perspective, to make sure everybody had equal time. If she addresses the subject again, she said, she would make a clear upfront disclosure of her viewpoint. As to the fundraising dinners — small discussion gatherings, the first of which took place Monday night — she said: "Mind you, I am walking a very careful line. I am there to tell my own story, to tell John's story, and to hopefully help to facilitate discussion among the attendees. I am not being paid a dime for doing any of this. I am doing it because it's what I believe I want for myself and I believe that talking about it is something that is crucial within our entire society, no matter what side you come out on." The line she will not cross is "to ask people to do or give anything" and no solicitation of funds took place in her presence, she said. Back to NPR. In October 2011 — before the ethics guidelines were revised, leaving out hosts of acquired programs — NPR dropped distribution of World of Opera, produced by North Carolina member station WDAV, because of host Lisa Simeone's political activity. When it came out that Simeone was acting as a spokeswoman for an offshoot of the Occupy Wall Street movement, NPR management decided to distance itself, and WDAV took over distribution of the show. As NPR's David Folkenflik then reported, WDAV retained Simeone as the show's host, saying, "Ms. Simeone's activities outside of this job are not in violation of any of WDAV's employee codes and have had no effect on her job performance at WDAV." [Rehm] should be counseled against future participation in fund-raising events for the organization. So reasonable parties can disagree on just how much a news organization should regulate an employee's activities outside of work — or in the case of Diane Rehm, someone who is not an employee but is widely assumed to be one. Yore told me that because the audience doesn't make a distinction between NPR itself and its acquired programs, he believes it's important "to speak, in every situation we possibly can, in one voice." I agree. NPR's standards going forward should also apply to those at its acquired programs. And if those standards treat talk show hosts or opera show hosts in a separate category, they need to lay out specifically what standards those hosts are expected to abide by. It's notable that NPR officials resolved the Simeone situation almost immediately whereas Rehm's situation has percolated for more than a week; Nuzum said, "we are taking the time to gather information and make a thoughtful decision." My own view is that Rehm's participation as a celebrity guest of sorts at fundraising dinners for an organization that does extensive political lobbying, as compelling as her personal story is and as careful as she is being, is a step too far for someone associated with NPR. Rehm does not believe she has crossed any line, but my view is she should be counseled against future participation in fund-raising events for the organization. Meanwhile, NPR and WAMU will meet on the issue next week. I'll report back when there is a resolution.